A recent fact-finding report on how the Bihar floods this year affected the marginalized communities in Araria and Kishanganj districts, jointly prepared by National Dalit Watch, National Campaign on Dalit human Rights, All-India Dalit Mahila Adhikar Manch and Jan Jagran Shakti Sangathan, has said that there was gross neglect of "huge population of Muslims and Dalits in giving them relief and rescue." 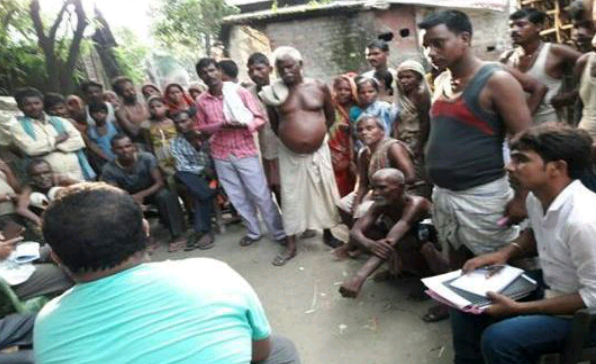 The report is based on information gathered from 21 relief camps, surveying 2,451 mainly Dalits, minority and Adivasis families from 45 villages. More than half (53.4%) belonged to BPL category, 34.4% were from scheduled castes (SC) , 29.7% were Muslims and 10.5% were scheduled tribes (ST). About 25% of the families depended on agriculture for survival, two-thirds were primarily daily wage labourers, of which 36.2% were SC, 7.5% ST and 30% were from the minority community. According to the report, about 611 families lost their 2485.9 bigha (or 994.34 acres) agricultural land due to submergence. "This has a huge adverse impact on the food security of the families concerned until the next favourable cropping season", it says, adding, "Almost half, about 49% land belonged to the SC community, 29% to minorities, 21% to OBCs and 7% to the ST community." Pointing towards "a huge loss of labour days during floods", the report says, "A rough estimate suggests that as many as 1,981 families suffered cumulative loss of over 31,000 days, which is equivalent to Rs 1.09 crore." According to the report, "There are as many as 1,079 families reported who have sustained loss due to loss of their thatched dwellings. Of these 33% and 36% families belong to SC and minority communities respectively. About 1,262 people sustained losses on the count of damage to the structure of their kaccha houses due to submergence." 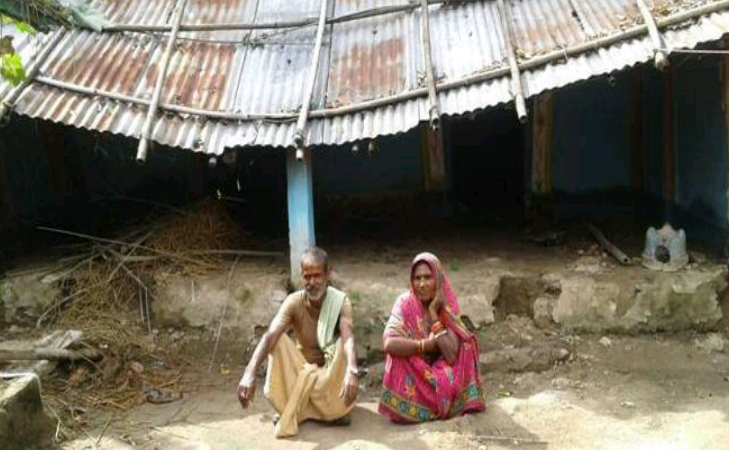 "Due to lack of money and socio-economic condition, most of the Dalits, minorities and marginalized families had difficulties in coming out from the marooned villages", the report says, adding, "Most of the hamlets of Dalits and minorities waited for food packets for 12-15 days." The report alleges, "Local officials deliberately denied distribution of dry food packets to Dalits and minority families. The food packets distribution was prioritise mainly as per the preference of elected panchayat members and dominant caste communities." The report says, "In Kishanganj some of the village communities complained about huge disparity is quantity and quality of relief distributed by local officials to Dalits and minorities. In some cases it was found that in the name of transportation charges, local officials gave less quantity of food grains." "Local government officials and panchayati raj members denied access from receiving food packets in the name of BPL/SECC/aadhaar cards", the report says, adding, "Air dropping of the food packets happened in the main villages, hence there were huge number of left outs from Dalits and minorities, who live in remote location in villages."